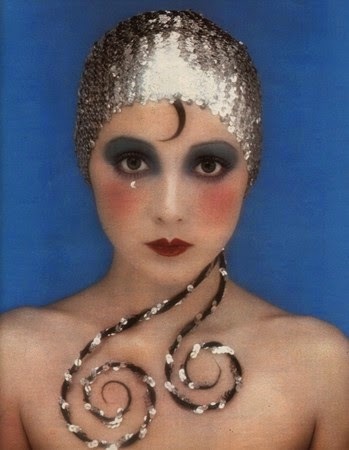 Twiggy goes to Disney - its a Mod Mod World! 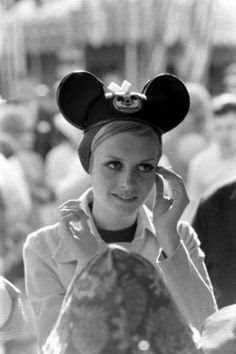 Bringing 2 iconic looks together sixties model Twiggy wears those Mickey Mouse ears well whilst paying a visit to California's Disneyland. As featured in Modern Screen Magazine 1967. Steamed up glasses? Caught in the rain? No longer a problem with these neato wiper frames! 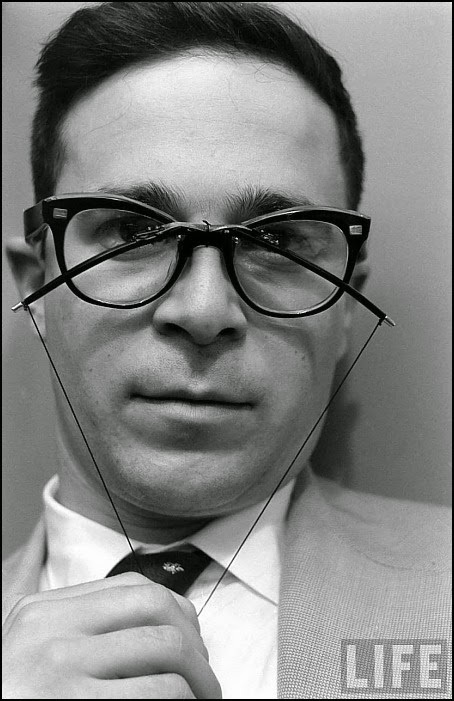 Hard to believe these didn't take off - or maybe these are still too advanced and we are to see these on a future Specsavers advert. The National Archives holds many maps but not so many like this one. This map of London was painted on this leather glove, it included all the relevant landmarks to ensure that ladies visiting the Great Exhibition in 1851 didn't get lost. Preserved only because it's design was registered at the time with the Office of Designs. 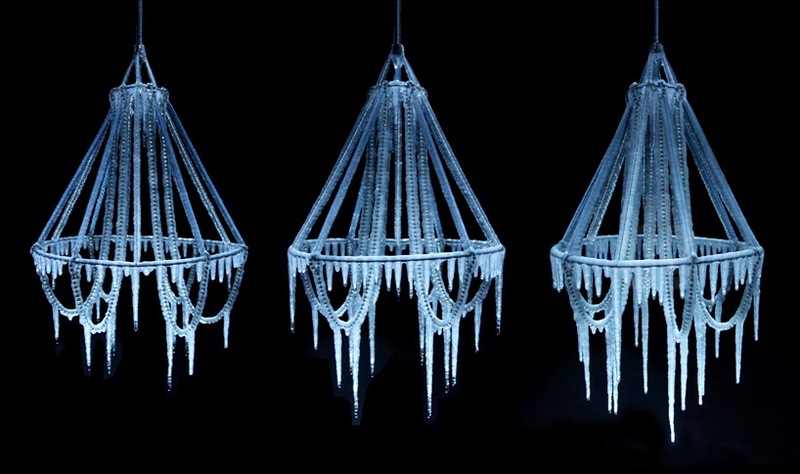 French designer Arturo Erbsman combines nature and design in this installation where water droplets freeze around the metal frame of the lamp, forming icy stalactites, gradually the micro droplets freeze over into stalactites, giving the ‘polar light’ is temporary beauty. 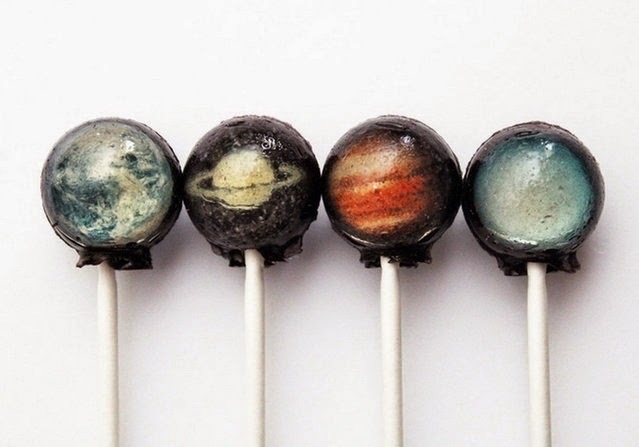 These mini planet lollipops will give you an out of this world experience, almost too pretty to eat. Check out these and more beautiful creations over at Vintage Confections.